RAPAPORT... US e-commerce sales grew 19% in the first five weeks of the holiday season, making it the biggest online-shopping period of all time, according to Adobe Analytics. Revenues came to $80.3 billion between November 1 and December 6, compared with $67.7 billion a year ago, the data provider told Rapaport News Thursday. Sales by smartphone grew 55% to $23.7 billion. 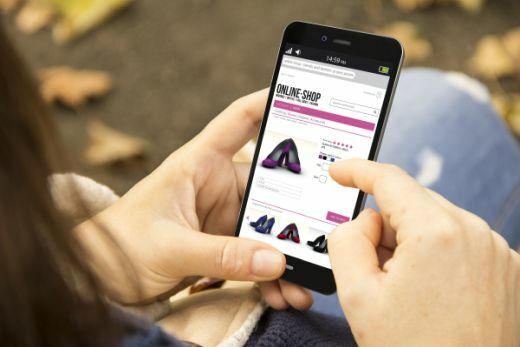 Shopping on mobile devices accounted for 58% of site visits, an 18% increase over the previous year. Of those, 49% occurred on smartphones and 8% on tablets, Adobe added. It based the results on a survey of more than 1,000 consumers. Total US online sales will hit $124.1 billion for the entire season from November 1 to December 31, the group predicted. Adobe also noted a 46% increase in shoppers buying online and picking up goods in-store. Meanwhile, a fifth of US shoppers plan to carry out more than 75% of their purchases through big online retailers such as Amazon and eBay, it found. Customers in Alaska, California, Washington, New York and Wyoming spent the most per order, on average, Adobe added.